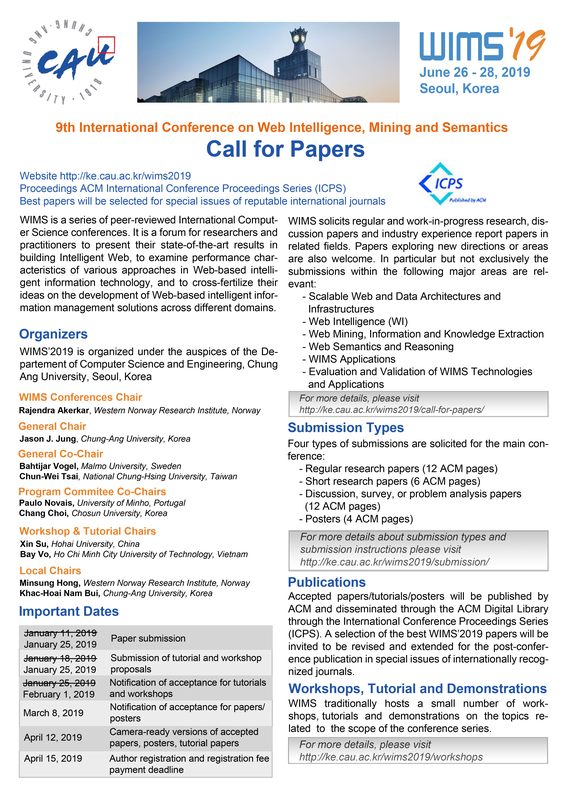 9th International Conference on Web Intelligence, Mining and Semantics. To provide a forum for established researchers and practitioners to present their contributions to the state of the art research and development in Web technology and applications. To give doctoral students an opportunity to present their research to a friendly and knowledgeable audience and receive valuable feedback. To provide an informal social event where Web technology researchers and practitioners can meet. WIMS traditionally hosts a small number of short tutorials on the topics related to the scope of the conference series. The role of a WIMS tutorial is to be a theme-oriented comprehensive survey. WIMS also offers its infrastructure and facilities for the organizers of satellite workshops that complement the scope of the conference. 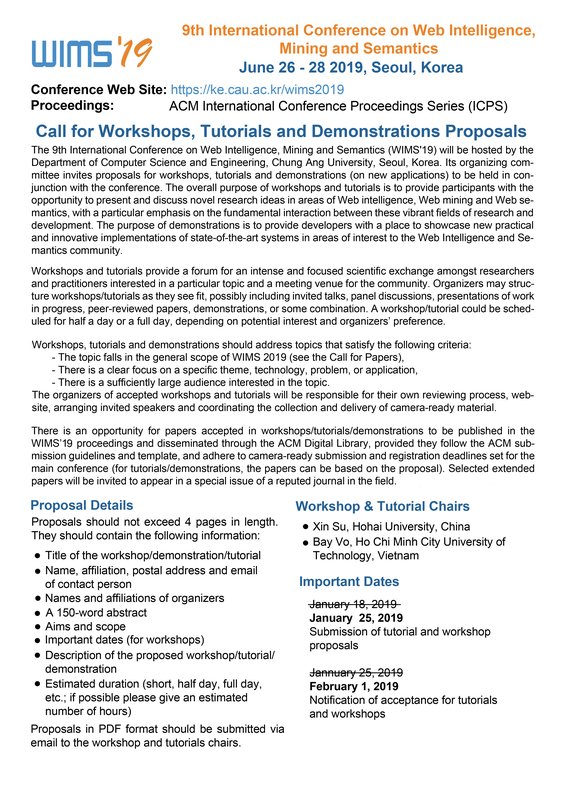 The calls for WIMS’19 Tutorials and Workshops are published separately.